Use: Summons and dismisses your Netherlord's Accursed Wrathsteed. This is a flying mount. 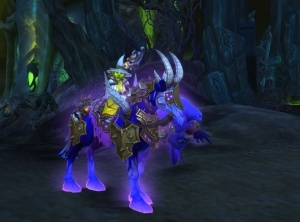 "Teaches you how to summon a Netherlord's Accursed Wrathsteed."